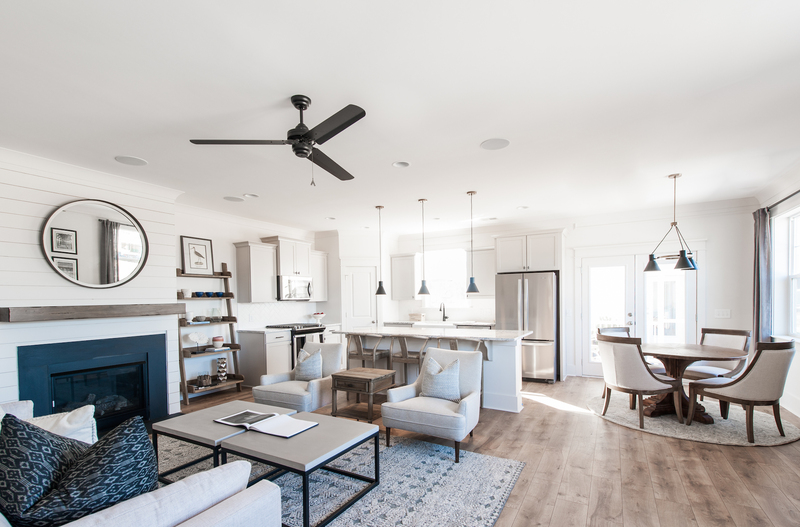 Just outside of the hustle and bustle of downtown Charleston is the growing town of Moncks Corner, home to the picturesque master-planned community of Foxbank Plantation. The welcoming, family-friendly community offers something for everyone. With 800 acres of exquisite lowcountry beauty, Foxbank Plantation mixes stunning southern homes with shops, churches, office spaces, 67 acre lake, trails, pocket parks, dog park, pool, gym, pavilion and 141 acres of protected wetlands. The state-of-the-art Foxbank Elementary School will open in 2018, allowing children to walk or bike the sidewalk-lined streets to school each morning. Defined by history, southern charm and old fashioned hospitality, Moncks Corner has all the modern conveniences, yet truly reflects the beauty of the lowcountry. There are many lakes and rivers perfect for kayaking and fishing, while the historic Main Street boasts a charming array of local shops and restaurants. Take a hike on the popular Palmetto Trail throughout the preserved Francis Marion National Forest or visit the Roman Catholic monks at the beautiful Mepkin Abbey. Foxbank’s newest neighborhood, Alderly, is situated conveniently near the main entrance of Foxbank Plantation, directly next to the upcoming elementary school and across from the 65 acre Lake Foxbank. The closest community to the neighborhood amenities, Alderly residents enjoy easy access to the Olympic sized, resort-style pool and exclusive fitness center, as well as a direct path to the community entrance, Alderly is a beacon of convenience and charm. Choose from 15 Charleston-style home plans from our 24’ Cottage, Heritage I and Heritage II Series. The designs feature lowcountry style double porches, detached garages and floor plans ranging 3-6 bedrooms, 2.5-4.5 bathrooms and 1,594 – 3,119 square feet. These charming southern homes have fiber cement siding in vibrant Charleston colors to choose from. All plans include premiere features, such as elegant crown molding and chair railing in the dining room. Standard kitchen features include granite countertops, recessed lighting and stainless steel appliances, with 36” staggered cabinets. With hundreds of customization selections and endless upgrades available, you can truly design the perfect home for your lifestyle. 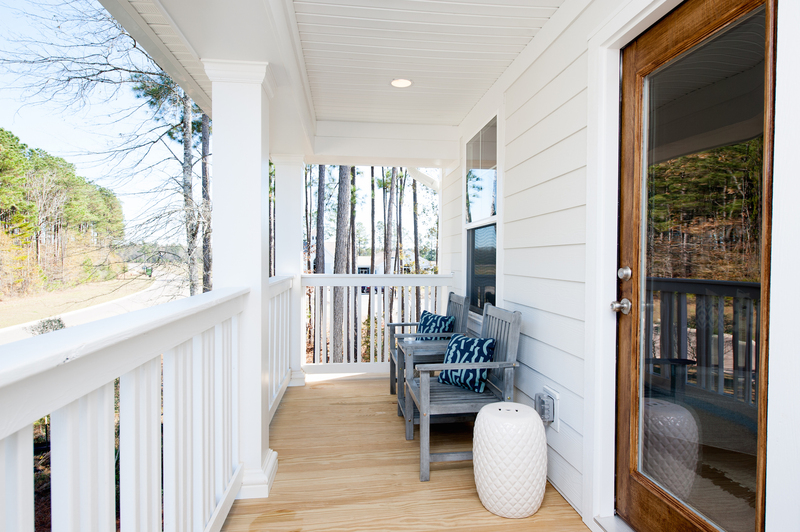 The stunning Pembrooke model home is three stories of thoughtfully designed southern style with beautiful double front porches. The 2,454 square foot home features 4 bedrooms and 3.5 bathrooms. 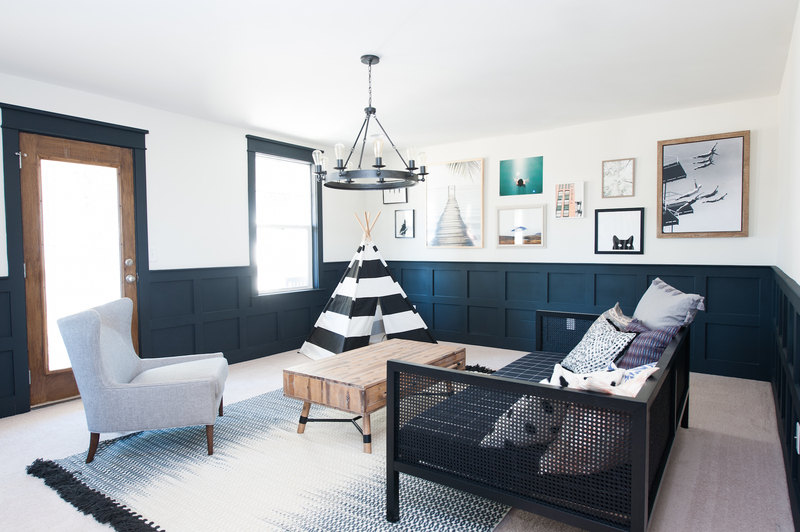 A private third story loft bedroom serves as a teenager’s bedroom retreat. Ideal for entertaining, the home’s open floor plan allows for an organic flow and ample natural light throughout the spacious first floor. Downstairs, gorgeous oak laminate flooring gives a refined, classic look to the open concept plan. A bright family room features a rustic floating mantel with slate and shiplap trim for a coastal look. 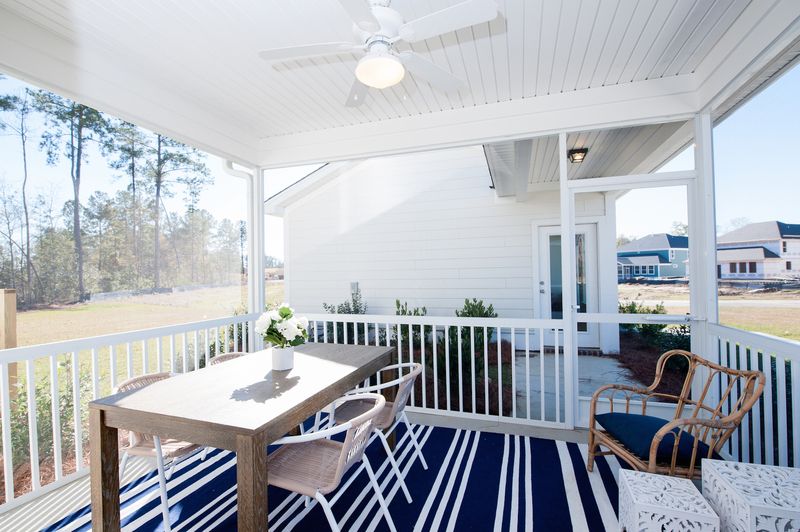 Adjacent to the family room is a sunlit dining area, which opens to a large screen porch connecting to the garage. This porch opens up to the vast back yard and nearby woods. Also open to the family room is a gourmet kitchen, complete with stainless steel appliances, herringbone subway tile backsplash and granite countertops. There is designer lighting over the convenient eat-in island. 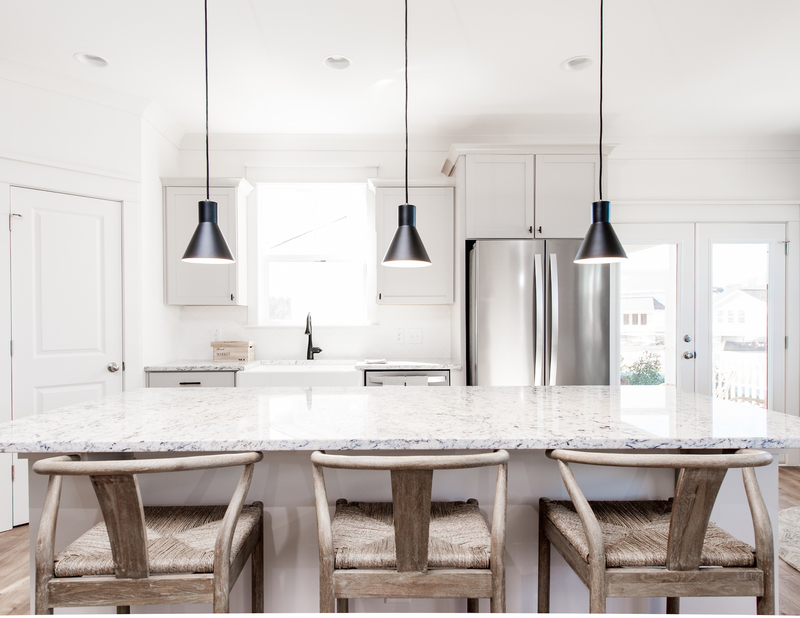 Grey shaker cabinetry and a farmhouse sink carry on the room’s rustic charm. 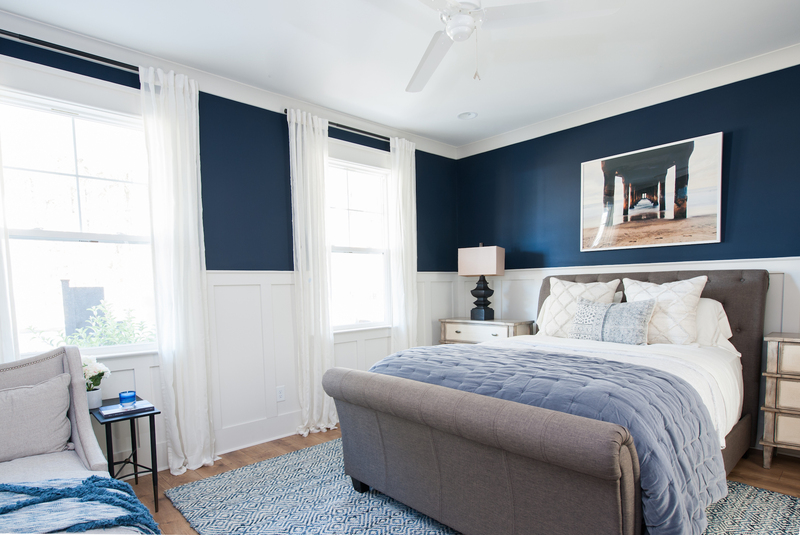 The sophisticated master-down suite features 54” batten strips and opens to a private bath and laundry room for convenience. 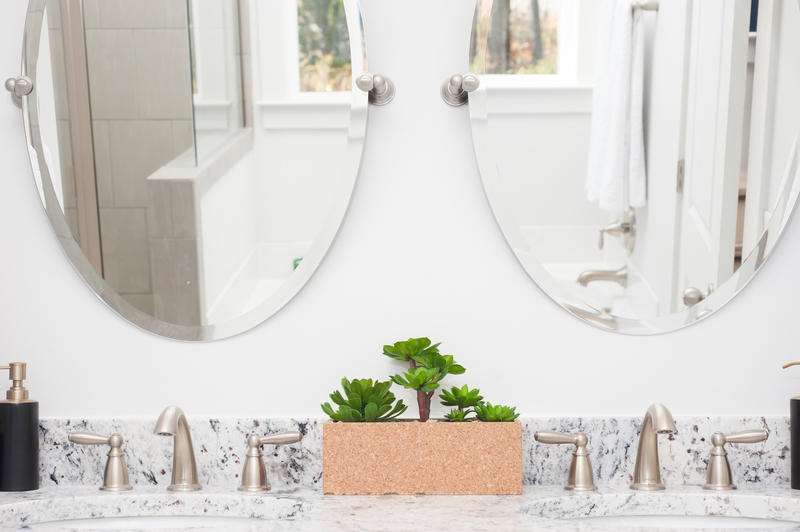 The gorgeous master bath boasts dual sinks with charming Seagull wall lanterns. 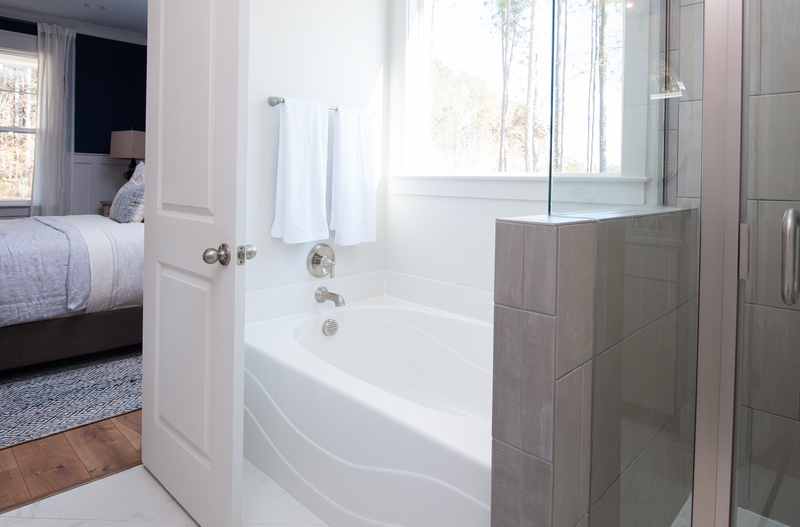 In addition to the tiled shower, a separate soaking tub offers a luxurious place to unwind. The sleek white floors feature a sophisticated diamond application. Upstairs, find an expansive game room with access to the second story porch, navy box grid wainscoting and a dramatic chandelier. Two additional bedrooms and a shared bathroom offer ample room for the family to spread out on the second floor. 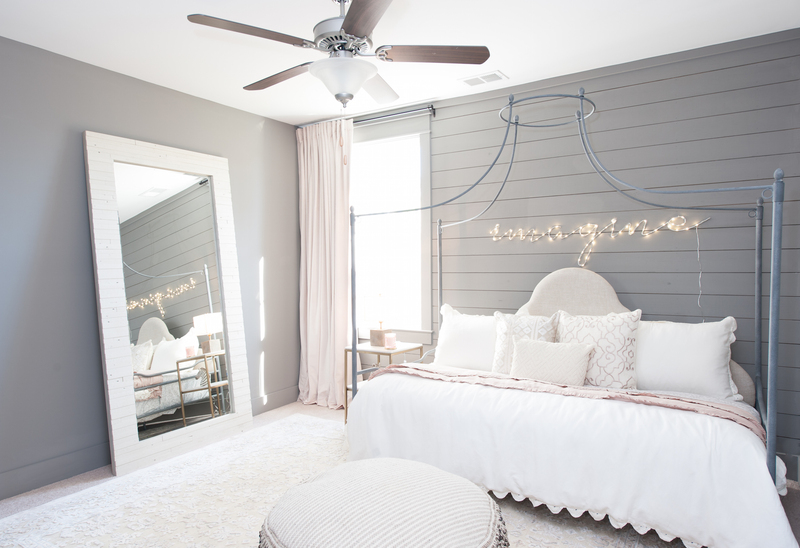 One bedroom features shiplap, while the other boasts a stunning batten strip grid. The tiled laundry room is conveniently located upstairs as well. Craftsman style trim throughout gives a charming, unique look. A sophisticated stairwell opens to a large, additional bedroom and private bathroom on the third floor. This optional third floor can be utilized as more flex space or turned into a private guest suite. 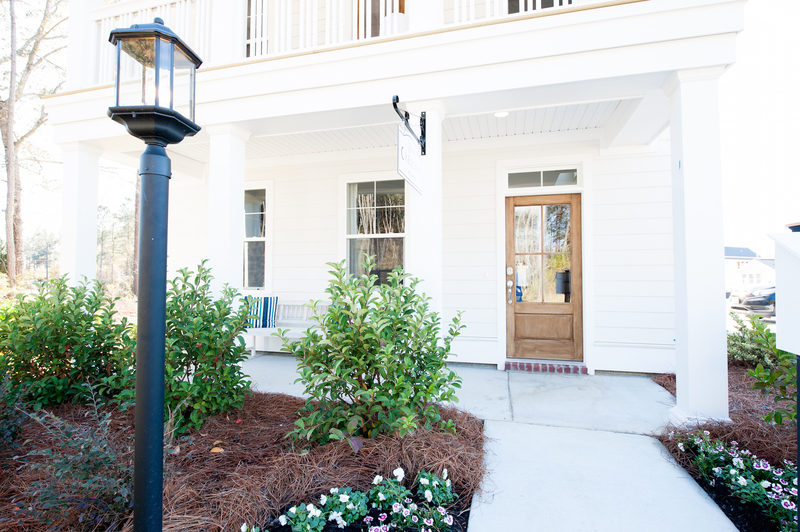 Alderly at Foxbank Plantation is southern living defined. Contact our agent today to schedule a tour of the model and learn more about the community.